Whether you are planning to purchase a new USB flash drive or are just looking to upgrade, a few pointers can make the buying process a little simpler. When deciding which size USB flash drive to buy, it is best to go bigger than you think you'll need. You'll never regret having too much space on a USB flash drive. While price increases with capacity, you pay less to jump from 8GB to 16GB, for example, than you pay if you have to buy a second 8GB drive down the line. Many drives come with data security including password protection or fingerprint scanning. The level of security you need depends on what you're putting on the device, but you should look for a drive that at least has password protection. A flash drive's diminutive size may be convenient, but it makes them notoriously easy to lose. Another helpful safeguard is a manufacturer warranty, typically found on most USB flash drives. Manufacturer warranties can range from one year to a lifetime and protect against product manufacturing defects. (All warranty terms vary, so check the fine print). However, warranties for flash drives are only worth it if they're already included with the device. Don't bother purchasing an extended plan from the retailer—it's not worth your money. No amount of password protection is going to help you if your flash drive falls apart after a little wear and tear. Look for drives made with anodized aluminum outer casings or some other kind of hardy material. If you go with plastic, at least make sure that any caps feature a tether. Waterproofing can't hurt, especially if you're planning to attach it to your keychain. Normally, faster is better, and USB 3.0 is faster than USB 2.0, but when it comes to USB flash drives, paying for the additional speed may not necessary. There's little point in paying a premium for speed for a drive that is only transferring and carrying 32GB of data. The speed jump is negligible at that size unless you have a time-sensitive job that has you using the drive multiple times a day. 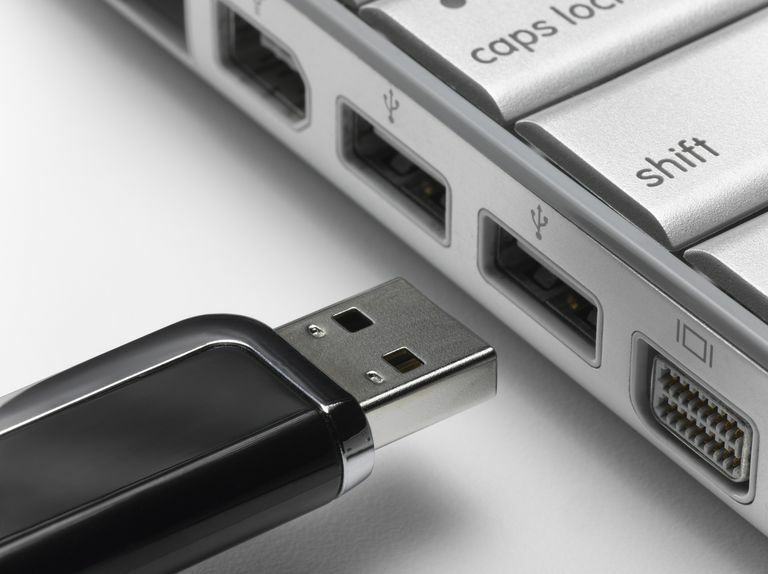 Now, if your flash drive holds 1TB of data, consider USB 3.0. In that case, make sure your computer is also USB 3.0-compatible before you buy a drive with the same technology.